Today the new Premier League handbook for the forthcoming domestic season was released by the FA, and it appears that a graphic of our so-far unconfirmed third strip features within its pages. 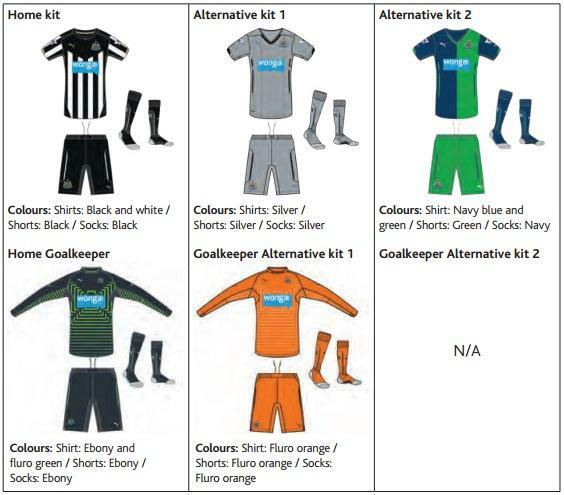 Newcastle have taken a long while to confirm the third and final kit, and there doesn’t seem to be much logic in the delay. This is now the second season running that the club have taken a while to release the designs. However, the wait may well be worth it! It is reminiscent of the 1993 Newcastle away kit, which consisted of a green base layer and blue stripes. If this is the new kit, then I would be more than happy to buy it!